Creating beautiful, handmade tiles has been Ann Sacks’ M.O. for over 30 years. What started as a love for Mexican Talavera tiles has blossomed into one of most highly regarded artisan tile companies in the United States. 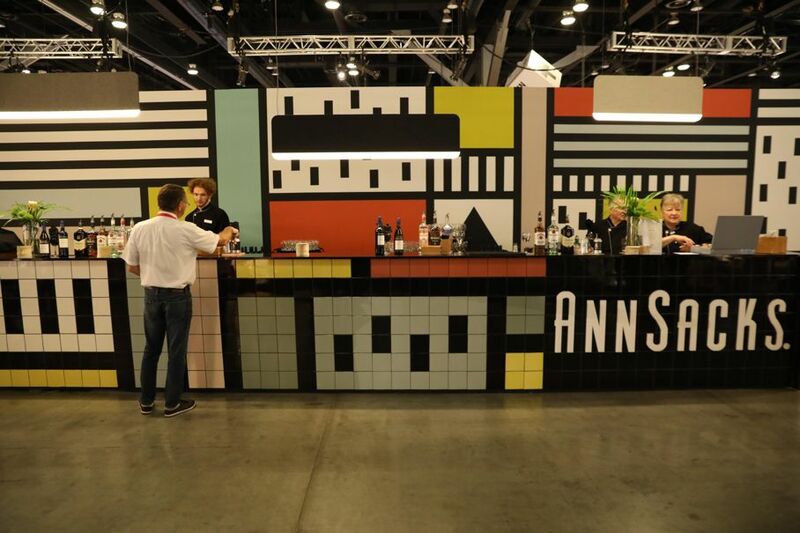 Today, Ann Sacks continues to set a high bar for the tile industry by infusing customization with color and local production with international designs. 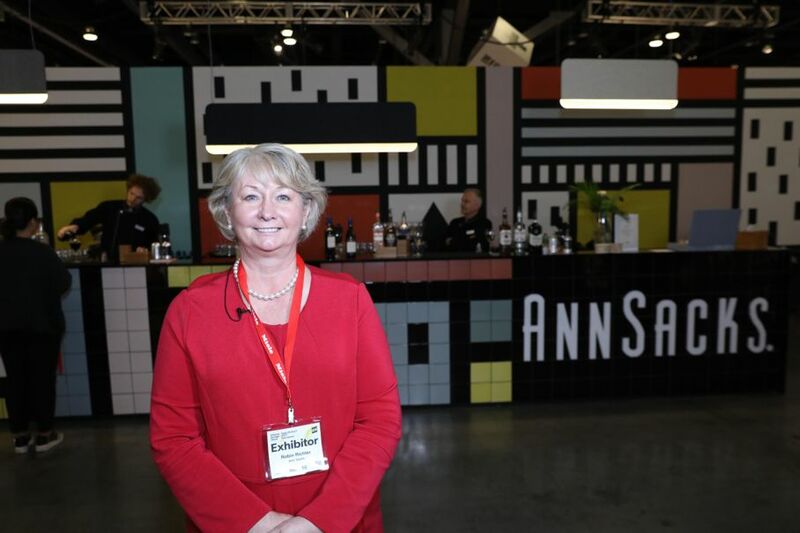 We recently spoke with Robin Richter, a representative for Ann Sacks and its parent company Kohler, at the Interior Design Show Vancouver. Robin isn’t just well-versed in the newest news of collaborations between Ann Sacks and some of the art world’s biggest celebrities, but she also shows excitement and appreciation for the Ann Sacks backstory. After all, it’s those humble beginnings and company values that shape this superior tile product. “Just like farm to table, this is a field to product company. We craft all the tiles we make out of Portland [Oregon] clay and water,” says Robin. And, to be honest, there’s no better way to describe Ann Sacks as literally locally made and hand-crafted. The beautiful thing about the production of every single tile made and sold by Ann Sacks is that they’ve always been handmade ever since the company’s inception in 1980. Ann Sacks herself shifted from the emotion-filled world of social work to tile manufacturing after falling in love with Mexican Talavera. Soon, she was making her own tiles in her home and then offering them up to local neighbors. It didn’t take long for Ann’s designs to turn heads and, within a year, she had opened a showroom. Fast forward thirty years and Ann Sacks is still adding color and life to homes around the country and the world. Thanks to the work of their 40-person-strong team of artisans, Ann Sacks handles everything from the sourcing of raw materials to hand cutting and custom glazing each tile. 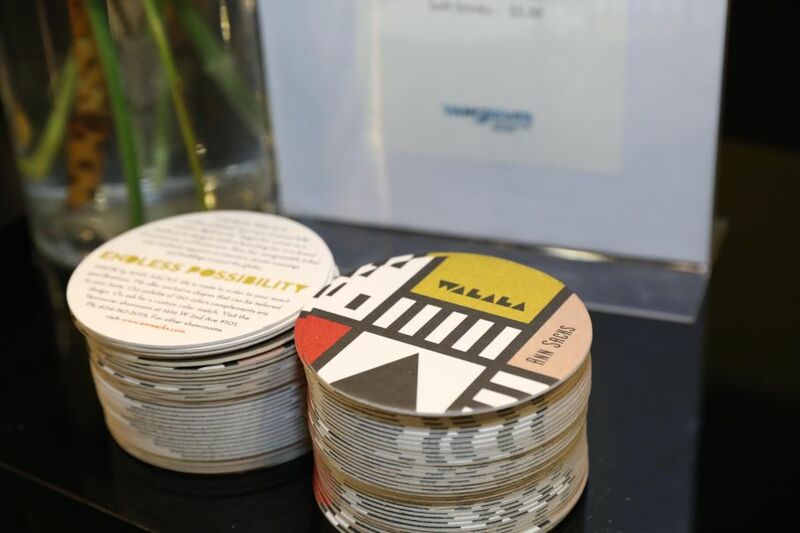 Since small batches and customization are key to Ann Sack’s designs, customers can easily work with the designers on staff to create a personalized product that’s perfect for any home, office, or commercial building. “If you bring in a jersey from your favorite football team, we can match the color,” says Robin. Aside from their custom orders, Ann Sacks also maintains a plump lineup of dozens of tile, mosaic, and stone collections of every design genre and price point. Being a recognizable name in the industry has its perks, such as the ongoing chance to work with artists and designers who are considered trendsetters in their own right. 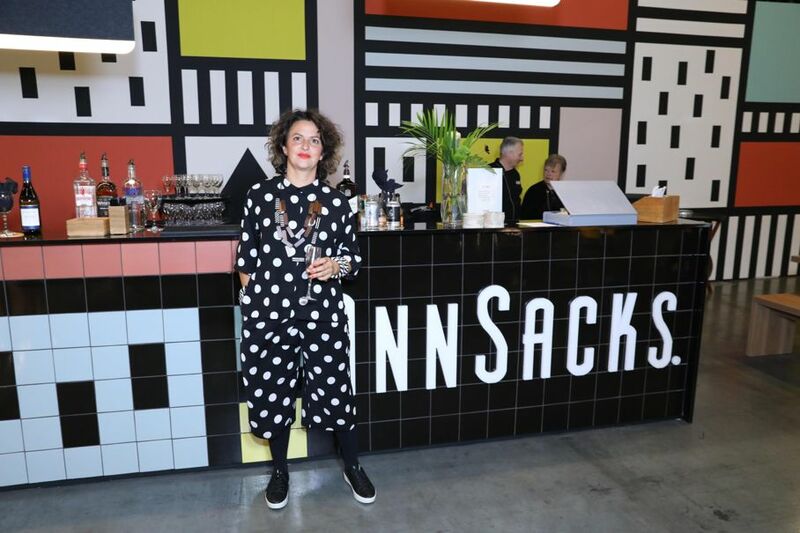 One of Ann Sack’s most recent collaborations was with Camille Walala, the French graphic and digital print designer who is known for her bold color choices and space-conscious renderings. 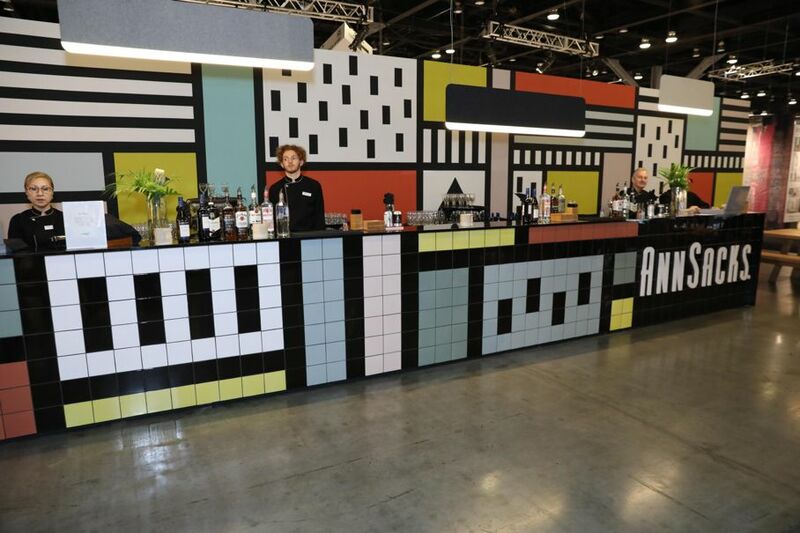 Each tile in the Camille Walala collection was based on a wall she hand-painted for Ann Sacks. Camille describes her work with Ann Sacks as “joyful and colorful,” adding that her work is all about color and bright patterns inspired by the 1980s and African tribal art. Aside from Camille’s fascinating tile work, we also fell in love with other collections by artists and designers including Kelly Wearstler and Vincente Wolf. Here at House Tipster, we appreciate a company with heart and that’s why Ann Sacks has been on our radar the past few years. To this day, the philosophy of Ann Sacks remains the same: create a lively space out of handcrafted tiles. Their tagline is, “Shouldn’t all rooms be living?” When a room features Ann Sacks tiles, it’s bound to. Keep up with our social media pages and website as we bring you exclusive interviews with Camille Walala and other artists from the design industry.